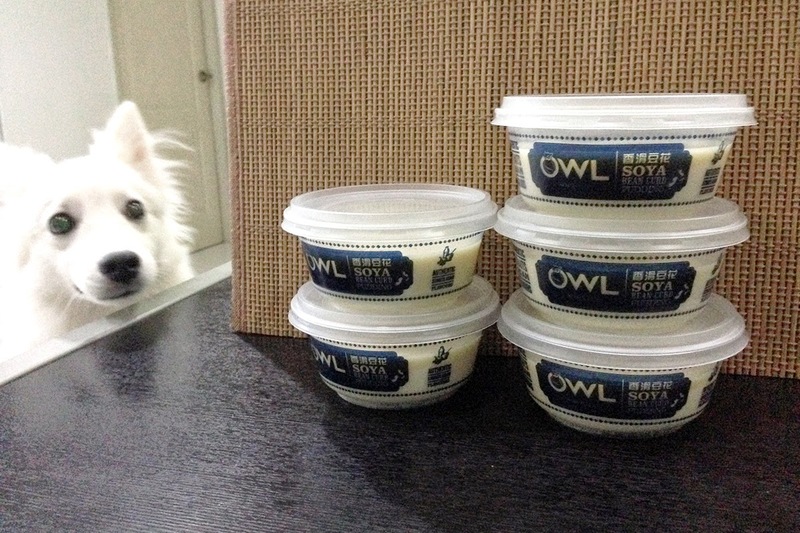 While we were doing some grocery shopping, the hubby decided to try out the OWL Soya Beancurd Pudding. We saw this during the previous shopping, but was considering whether to try. So we decided to try this time. 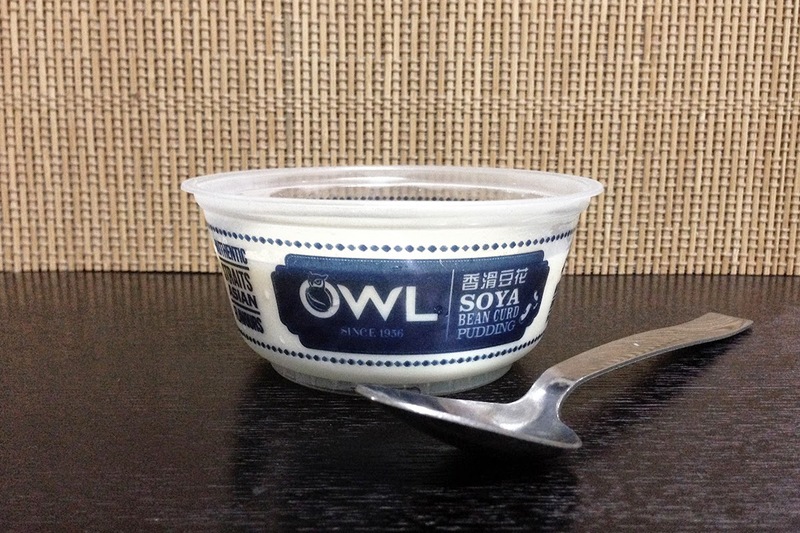 OWL Soya Beancurd Pudding is selling at $5.50 from NTUC Fairprice. 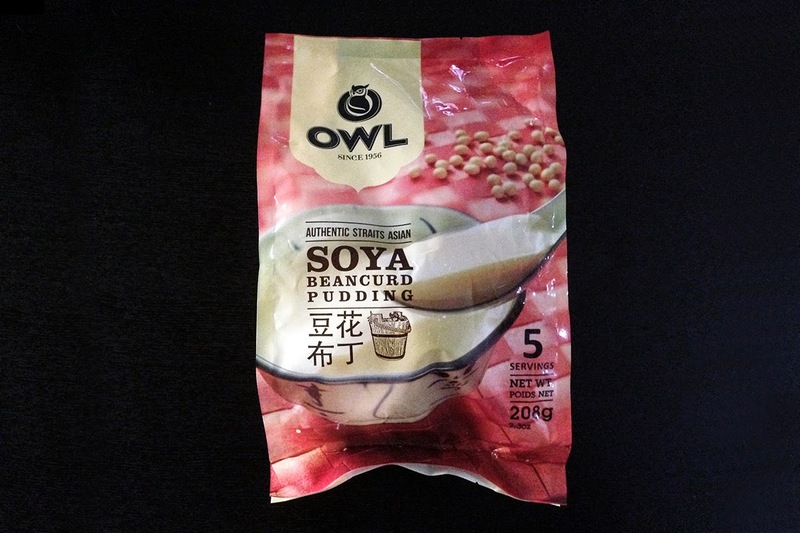 On the packaging, this big pack of OWL Soya Beancurd Pudding states that it consists 5 servings. And in my mind, I was thinking instant mash potato style. 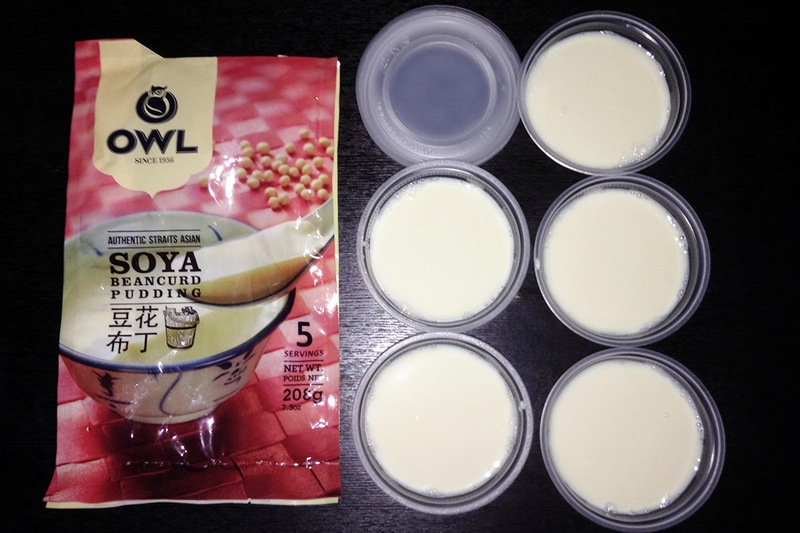 5 small packs of soya beancurd pudding powder to mix with hot water, stir and it will be hardened. But I was wrong. 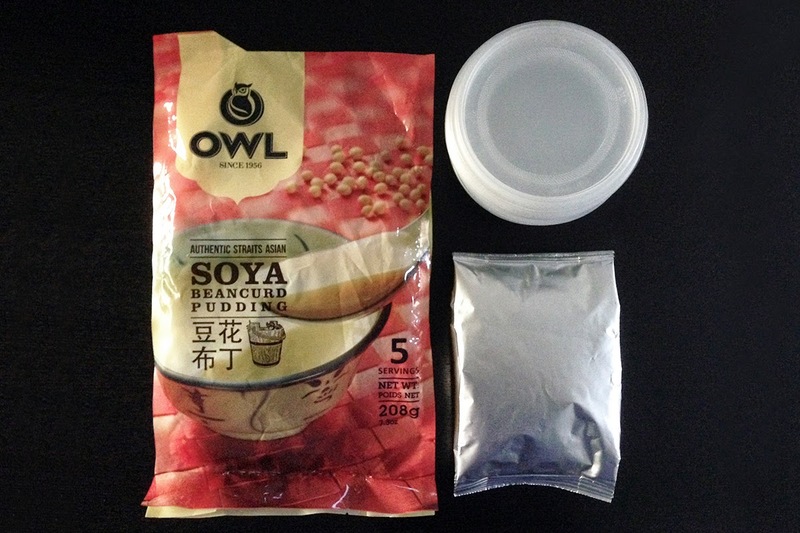 The big pack contains one big pack of soya beancurd powder and 5 oven safe disposable bowls. Ahh. I have to make all 5 at one go. 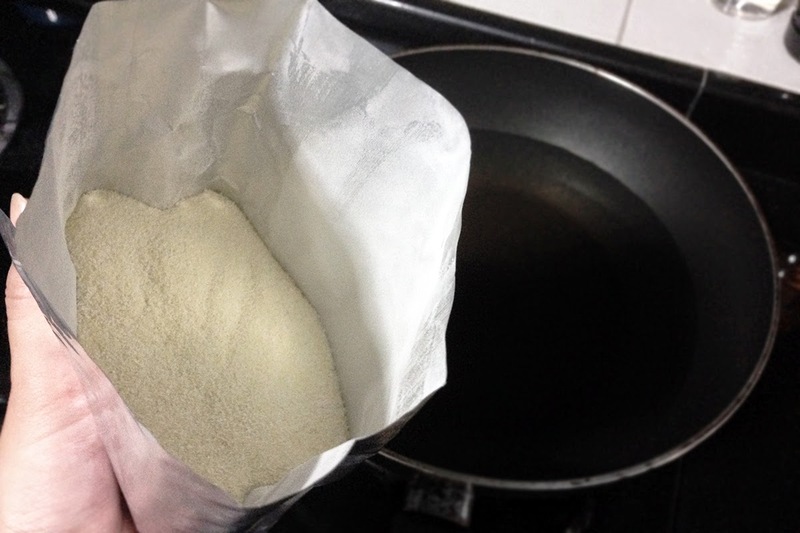 And the powder needs to be boiled. Hmm.. Cham.. How to finish them? No choice then. To eat, we have to make all of them together. 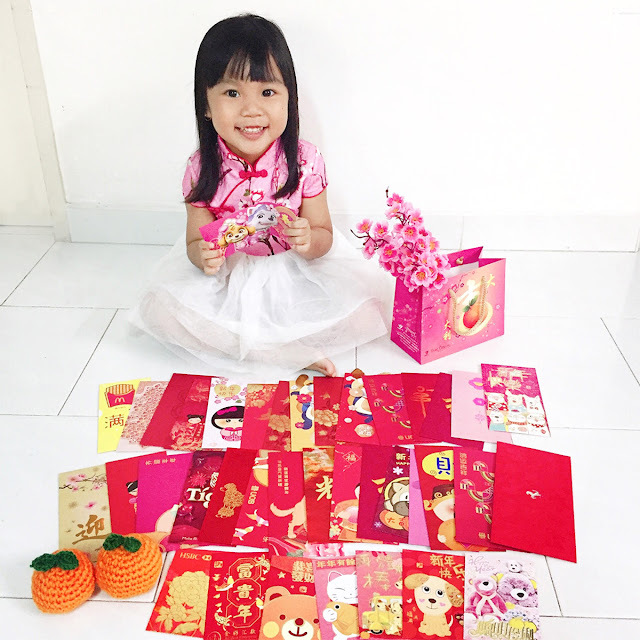 Here are the steps provided. 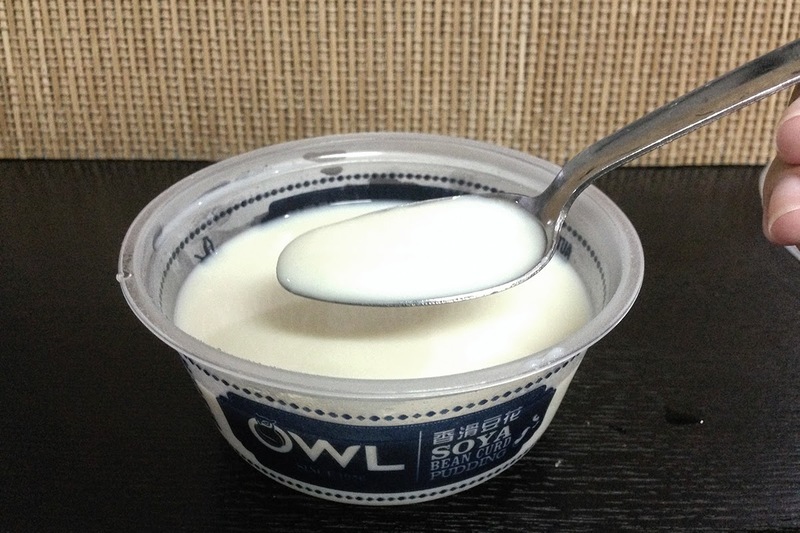 Dissolve a packet of OWL Soya Beancurd Pudding Powder into a pot of 1000ml water. Stir well until boil. Pour mixture into containers provided and set in room temperature until cool. Chill in refrigerator for 1-2 hours until firm. Serve chill. Makes 5 servings. So, I dissolved the powder into a pot of 1000ml water. Mine is not really a pot, but any pot works. And I have to keep stirring. Next, was to pour the mixture into containers provided and set in room temperature until cool. Happy with what I did, even though it wasn't much effort here. After cooling, it's time to chill them in refrigerator for 1-2 hours until the pudding becomes firm. 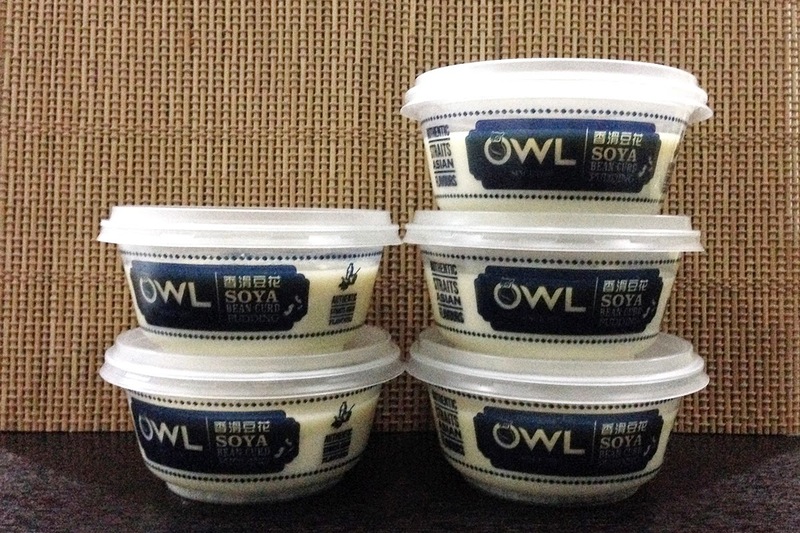 Looks like I'm in some production line making many bowls of OWL Soya Beancurd Pudding eh? And, TA-dah... the final product after being chilled for three whole hours. It was still pretty watery after two hours. I guess my refrigerator was not cold enough? I wonder how long can we keep this in the refrigerator. To be safe, I think we have to finish this in two consecutive days. 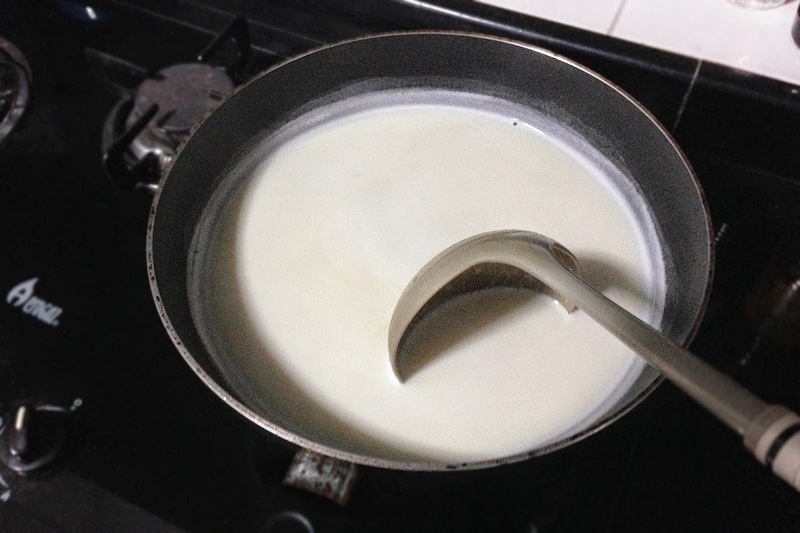 Hi, you wondering why your beancurd is not a success maybe you have to boil it abit longer. You can keep the pudding in the fridge for 5-7 days.